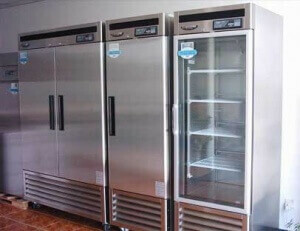 We are the most trusted choice in commercial appliance repair. We work on kitchen appliances such as refrigerators, ovens, mixers, freezers, deep fryer and all other commercial kitchen appliances. We do all the repairs, maintenance, and installation needed to keep your business going. Our licensed technicians are all familiar with all brands and models such as Asko, Bosch, DCS, Electrolux, Fisher & Paykel, Frigidare, GE, LG, Miele, Perlick, Samsung, Siemens, Dacor, KitchenAid, Sub-Zero, Thermador, Traulsen, True, Viking, Whirlpool, Wolf and much more. All of our commercial appliance repair techs are top notch professionals in their field. They all are factory trained and certified. They get updated licenses every year and learn all the new technology as it comes out. When we go to a job, our vehicles are always fully stocked with all the necessary equipment and parts. We are fully prepared to solve any problem for our customers. So, you can be sure, that you are getting the best of the best to work for you. A broken appliance is a real emergency for most of us. Without adequate commercial appliance repair, your whole business may slow down or even stop. 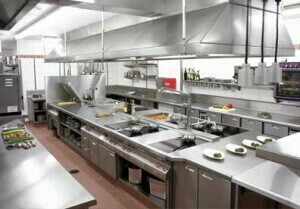 That is why you need commercial kitchen repair experts like us. We have same day appointments available for just such a situation. Call us, and our repair technician will be at your location ready to help. He will be as discreet as possible. We do not want to disturb your customers or employees in any way during our repair appointment. Our goal is to make this appointment as convenient and easy as possible for you. And of course, give you amazing results. Commercial appliances are often really expensive. But they are made to last and be often used. As long as you do proper maintenance, your appliances will last you a very long time. Top Home Appliance Repair offers professional maintenance service that you can trust. We also offer recurring maintenance program at discounted prices. You decide how often you want us to come out. This way your appliance is always it top shape. By doing our recurring maintenance plan, you will save money in a long run by not needing more complicated repairs. Why choose us to do commercial appliance repair for you? We are top professionals with more than 30 years of experience. Our whole company is geared towards keeping our customers happy and satisfied! No matter what problem you might have, with your appliances, we will find the best solution for it. We have all the skills and knowledge needed to exceed your expectations! Our service area includes East Bay, Oakland, Marin County and Novato. Also, our services are very affordable. We work with you, to make sure our prices fit your budget. Also, we will find you quality parts that are much cheaper than the market price. Our goal is to save our customers money and give them excellent service. After an appointment with us, your appliance will look and perform great! We will be more than happy to help you with any of your commercial appliance repair needs. To make an appointment, please call us at 925.265.7782 in East Bay or 28-214-0064 in Marin County. Or you can fill out our short contact form. We would love to talk to you and answer all of your questions.